Bestselling authors William and J.A. 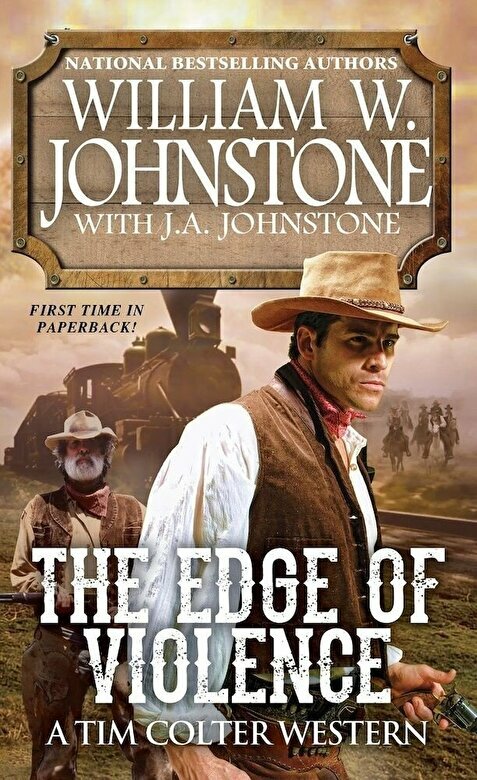 Johnstone continue the wild, epic saga of Tim Colter with the building of the transcontinental railroad--and the making of the American Dream . . .
Twenty-two years have passed since Tim Colter and his family were ambushed on the Oregon Trail, forcing the young boy to find an unlikely ally in one-eyed mountain man Jed Reno. Now a widowed deputy U.S. marshal and Civil War veteran, Colter is finally ready to remarry and settle down--until a dangerous new assignment becomes a life-or-death struggle for the soul of a town and the heart of its people . . . The Union Pacific Railroad is laying down tracks connecting the great northwest to the rest of the country. But two rival factions have set their sights on the town of Violet--aka Violence--to gain control of the rails. It's Colter's job to tame the rampant greed and rising tensions. But to do it, he'll need to deputize his trusted old friend Jed Reno--and wage a savage new war that will determine the fate of the Dakota Territory and the future of a nation.